Cyprus has delayed a vote on its controversial bank deposit levy until Tuesday. The new tax would make its citizens shoulder a 12.5-percent crisis tax on savings larger than €100,000, with a tax of 3 percent on smaller deposits. The Cypriot government has been discussing the measure with its European creditors, Reuters reported citing an anonymous source who is close to talks. To counterbalance the measure, the government proposed to increase the tax on large sums to 12.5 per cent from the originally proposed 9.9, the source said. The last minute discussions are allegedly aimed at appeasing ordinary Cypriots who are about to share a major part of the anti-crisis burden imposed on Cyprus by the European Central Bank. 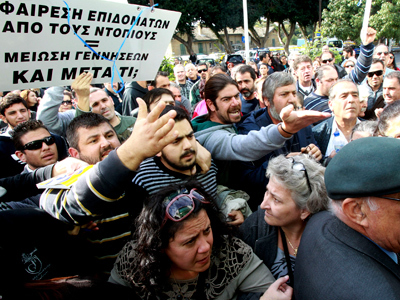 Cyprus became the fifth country to ask for immediate aid from the Eurozone. But in a drastic twist from the previous cases, the European finance ministers demanded Cyprus seize a significant portion of all deposits in the country’s banks in order to secure a €10 billion bailout. The original agreement suggested 9.9 and 6.7 per cent levies on deposits above and below the €100,000 threshold respectively. Although in general terms the bargain was settled with the European lenders late on Friday, the Cypriot government still has to come to an agreement on the exact details and pass a law that will allow such a move. 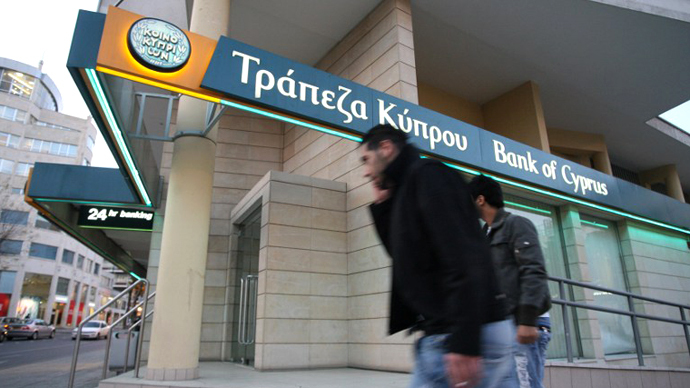 In the meantime all banks in Cyprus have frozen the amounts required to pay the tax on their clients’ deposits and stopped all transactions, including electronic, before going to a long holiday weekend. 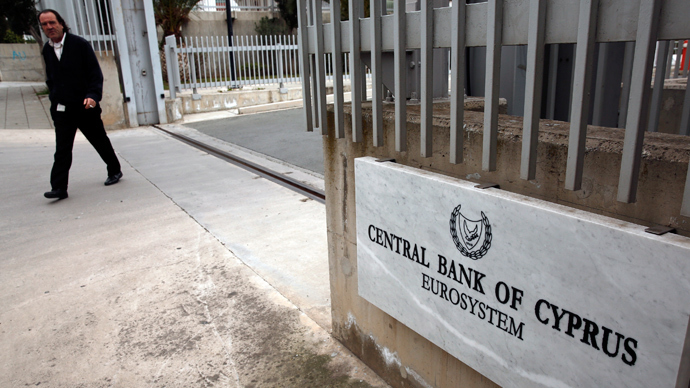 Banks in Cyprus are expected to be opened on Thursday, according to an official from the central bank. Eurozone finance ministers are currently holding an emergency conference call to review the situation. Cyprus, a nation of 800,000 people, has an economy of under €18 billion [US$23.2 billion] and a banking system with some €68.4 billion [US$88.4 billion] in deposits, much of which is held by Russians and other foreigners. If the levy goes through, those foreign investors will stand to lose the most. In November, German publication Der Spiegel reported that Russians had deposited as much as $26 billion in Cypriot banks. Deputy Economic Minister Andrei Klepach assured that Cyprus’ proposed levy on bank deposits likely will not affect domestic capital flows in Russia, Prime news agency quoted him as saying. “I don't think [the tax] will have significant implications... This is a matter of increased risks, not [capital] flight,” Klepach said. Russian banks had around $12 billion deposited in Cypriot banks at the end of 2012, according to ratings agency Moody's. 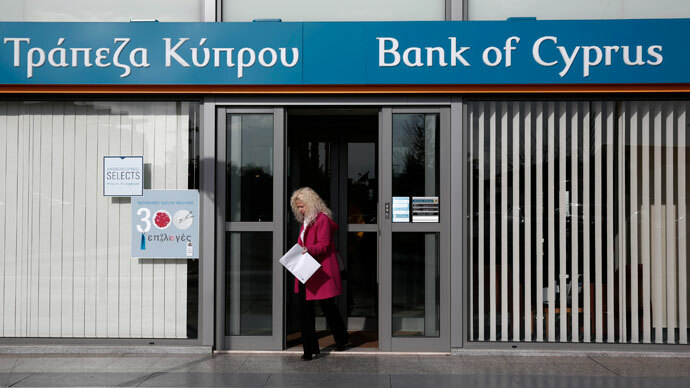 On Monday the parliamentary vote on controversial bank deposit levy was postponed once again until Tuesday, Cyprus Broadcasting Corporation reported. But there is a possibility the vote could be delayed until Friday, New York Times stated. A session of the Cypriot parliament had originally been scheduled for Sunday in order to attempt to broker a deal between the parties involved. At the same time authorities have extended for another day Monday’s bank holiday, so the levy is unlikely to come in force on Tuesday morning as was initially planned. The parliament remains split over the initiative. The opposition parties are against the move leaving the government without a majority in the upcoming vote. President Nicos Anastasiades with his right-of-center party DISY and the coalition Democratic Party (DIKO) control only 28 seats – exactly the half of the parliament – while for a decisive vote at least 29 votes are needed. At the same time analysts suggest that several lawmakers from DIKO could vote against the measure despite party’s support for the president. On Sunday, the Cypriot president addressed the nation claiming that this new tough decision was the only available measure to avoid default and subsequent separation from the EU. “Those who hold on to their deposits for two years, will get back half of their deposit in bonds,” Nicos Anastasiades said, trying to avert an imminent wave of deposit withdrawals after the holidays. The president promised that the bonds will be secured by the revenues from the country’s gas industry and promised that pension and provident funds will remain untouched by this one-time measure. 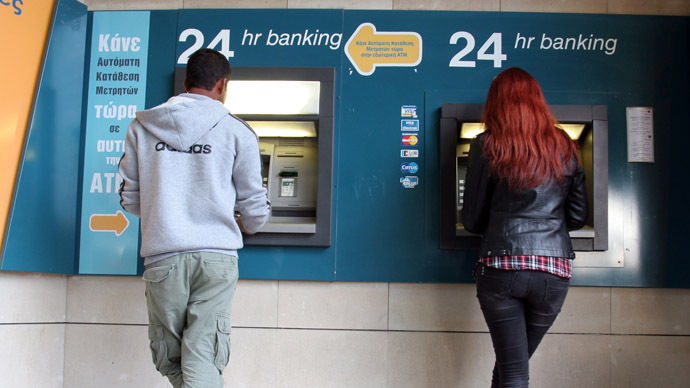 The plan, which is unprecedented in Europe, has already sparked panic on Cyprus as people queued up at ATM machines trying to rescue their savings. The wave of withdrawals is expected to resume on Wednesday while the markets worldwide are preparing for a deep plunge on Monday. According to Cyprus’ central bank website, the amount of total deposits has already been reduced, as the sum dropped by $2.5 billion from December 2012 to January 2013.